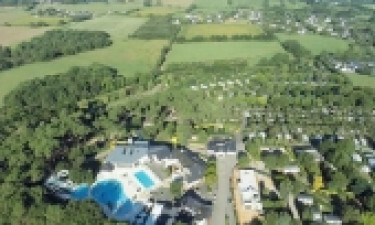 Located in one of the most scenic bays in the world, the Gulf of Morbihan, and sitting between the beautiful towns of Auray and Vannes, the luxury camping site of Le Mané Guernehué is the perfect place to experience the magic of south Brittany. Why come to Le Mané Guernehué? The bright and airy indoor pool area has 2 heated pools and a Jacuzzi. 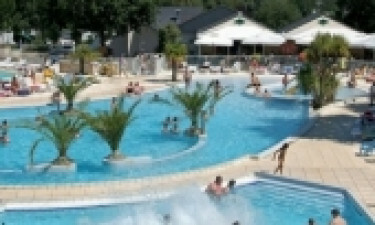 Adults can have a leisurely swim, whilst kids can ride the water slide and splash around safely in the children’s pool. The outside heated pool area has a large lagoon pool, a swimming pool, water slides and rapids, a toddler’s pool and a 200m² terrace for lounging in the sun. The camp’s horse farm has indoor and outdoor areas where children and adults can learn to ride ponies and horses. 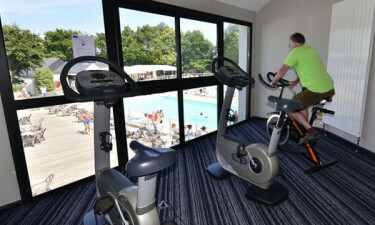 Visitors can also ride around the campsite's 24 acres accompanied by a monitor. Other exciting on-site activities for children and teenagers include zip-lining, archery and ball games on the multi-sport court. For toddlers and young children, the inflatable bouncers, trampoline and play areas will provide hours of fun and laughter. Adults are people too and haven’t been forgotten in the fun stakes. 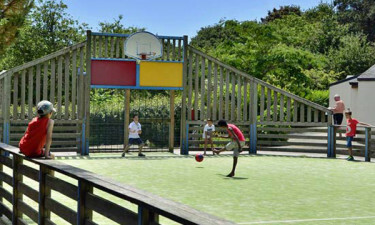 In addition to archery and zip-lining, adults have access to a gym and fitness area, plus table tennis, the multi-sport court and beach volleyball for team games. Anglers can catch supper at the fishing pond and no one should leave the campsite without having taken the inflatable elastic challenge! Brittany has many breathtaking islands with unspoilt white sandy beaches and turquoise waters. A boat trip to either Belle Ile, Houat, Hoëdic, Groix or Ile aux Moines is a must. Lovers of water sports should head to the sailing port of Trinité sur Mer. For shopping, markets, culture and fine cuisine, visit the charming medieval port town of Vannes. Wander the ancient streets with their half-timbered houses, visit the Museum of Fine Art, dine at one of the fine restaurants in the harbour or stop for a drink at one of the many bars or cafés. 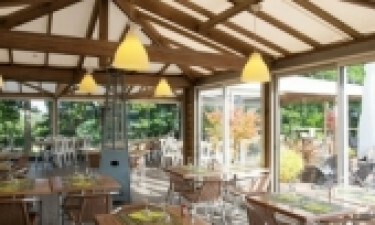 The poolside dining area consists of a traditional restaurant, crêperie and pizzeria, with a large shaded terrace. Ice cream, snacks and takeaway are also served. The bar, too, is located poolside. The grocery stocks local and fresh produce, plus freshly baked baguettes and pastries.